The QWERTY slider BlackBerry Torch 9810 is our guest of honor today, that’s the third BlackBerry in a week! Just like its siblings – the Bold 9900 and Torch 9860, this Torch 9810 is running on the latest BlackBerry OS 7. 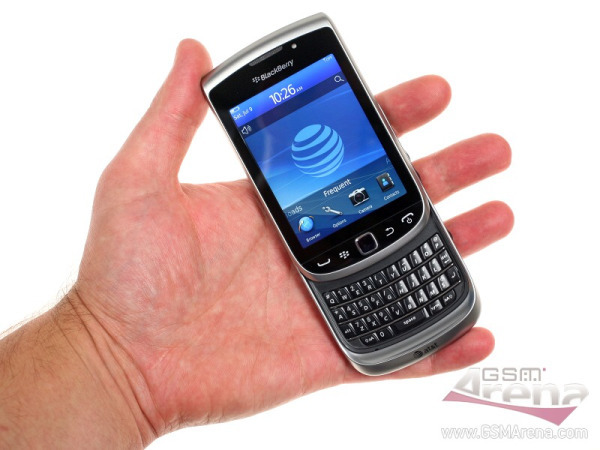 It’s a hybrid between the Bold 9900 and Torch 9860, combining both the hardware QWERTY keyboard and the big WVGA touchscreen. It is also based on the new hardware platform with a 1.2GHz processor, new graphics and 768MB RAM. As you already know from our previous posts, the new Berries are great performers. Here is an unboxing video sweetened by a short UI demonstration. Well, we are preparing reviews on all those BlackBerries and you should expect them soon.